Your title/position Microbiology student at the university of Daressalaam. Fruit peel probiotic juice is an amazing product we are honored to be part of the innovation. Our main objective is promoting good health to people while at the same time the environment is sustained for the future generations, our specific objectives includes recycling of solid waste like fruit peels which are a great threat in our environment and also solving two main categories of diseases, non transmittable diseases like cancer,pressure, diabetes,immunocompromised diseases, heart and kidney diseases also solving diseases caused by dirty environments like cholera,malaria, typhoid, amoeba, and diarrhoea. Fruit peel probiotic juice contains no chemicals at all it is a natural product made of fruit peels which contains more nutrients than the pulp, honey is a natural antimicrobial used in our product instead of sugar, natural spices like cardamon,cinnamon,ginger and lemon grass are added with a lot of health benefits, a probiotic source containing beneficial microbes is adeed from yoghurt, coconut with a lot of health benefits is also added to our products to makr it sweet and healthier. Each and every day is our great opportunity to rise and look for more innovation in our fruit peel probiotic juice. 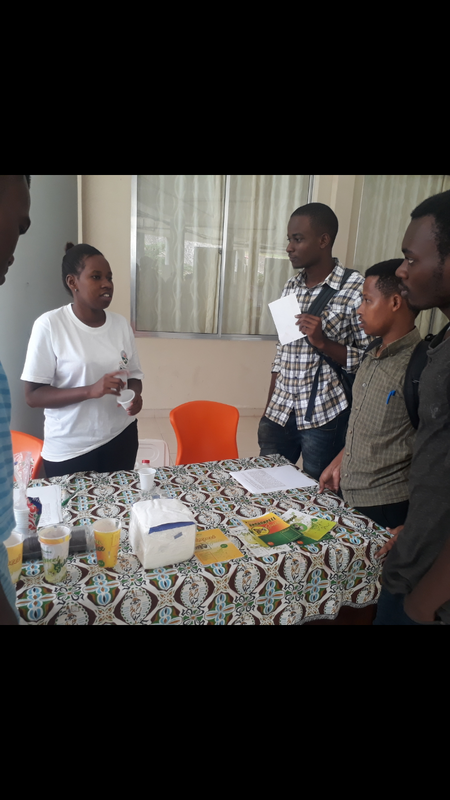 We are thrilled to accomplish our dream of innovating this amaizing healthier juice, we have been able to attend college exhibition held in Febuary 2018 in the university of Dar es salaam, we were also invited to be part of the scientist in the research week held in april 2018 in the university of dar es salaam and we were awarded the certificate of part of innovation, I was also graduated and awarded a certificate of enterpreneurship at ndoto hub helding a program of helping an enterpreneur woman on 30th July 2018, I have also attended enterpreneurship programs like wonder women programs, brains beuty bubbles programs and it was a great learning experience. We do look forward to to educate the society about the importance of fruit peels and stoping them from throwing away their own natural medicine, it is like throwing away "Gold", we do use our microbiology knowledge to do more researches on our product to ensure they are in a good quantity and quality to use.we look forward to spread worldwide and save all people by our natural amaizing juice,promote a good heath in a clean environment. We do believe if all nature is saved it will save us all. Our value proposition is the use of fruit peels more beneficial than the fruit pulps,no chemical used,honey is used instead of sugar, our customer will obtain both good product with education, environmental clean,use of natural spices and coconut pulp.key activities involves fruit peel juice production, supplying,blanding ,educating people,research activities and fruit peel use campaigns. Key resource raw materials,land, workers,packages, juice hub,transport and juice machines.our partners Fruit vendors,farmers,transporters,packagers,supermarkets. customer relationships involves good customer care, helping in need like those in hospital and orphans,discounts and offers. Our channels are exhibitions, social media,online busness, restaurants, partnership and delivering.we dont have customer segments all people can use forba better health although we dedicate our products to sick people withblow immunity,cancer,blood pressure kidney problems and all other people even childrens and old people, cost structure involves raw materials cost,transport cost,packaging cost while our revenue stream involves use of fruit peels which are cheap and natural spices we do look forward to have a farm to grow fruits,spices, build an industry, establish centres to educate people and our societ, establish cleaning the environment programs. Our financial source is from our own pockets we dont have other sources yet. I am a 23 years old girl born in 1995, I lost my parents in 1999 due to immunocompromised disease and so at the age of 4 I was an orphan, I was raised by the hands of the society and I grew with the passion of saving back my society ensuring they have a good health and a sound environment. Being an orphan is the most painful story I could ever tell, my dreams is to save other childrens parents not to die like mine, I don't wish to see people suffering because they don't have the knowledge on natural medicine and they cant afford the hospital medicines thus they end up dying mercilessly. The greatest opportunities boosting my innovation is the suffering I see in my society, the increased rate of non transmittable diseases, dirty environment they are living, poverty and lack of knowledge, seeing them throwing away the best part of their medicine and feed the animal,seeing them consider the fruit peels as low waste is my great nightmare I would wish to clear with all of my energy and my strength,Throgh my health and science study I have greatly achieved the research in probiotics and I am now doing a research in fruit peels to ensure they are used by people in good quality and quantity, I look forward to call upon each and everyone of us to educate our people not to throw away fruit peels. I have two recognition certificates awarded to my team in the research week in 2018 held at the university of Dar es salaam and ndotohub certificate a non profit organisation for supporting women interpreneurship. vTry HARD and Die HARD! I am glad that your product 'Probiotic fruit peels juice' contains natural elements from nature!! I think it will help to sustain our health in poor condition. A very good product for our health. 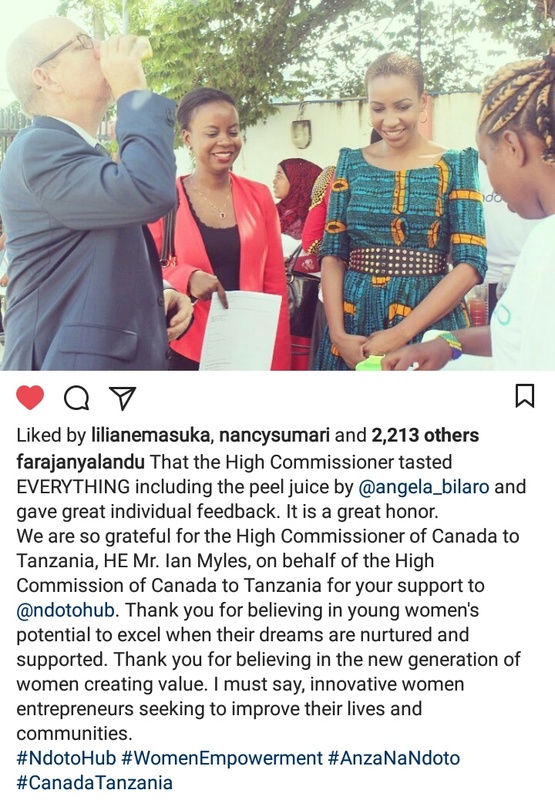 Its amazing that you have come up with this idea of putting to use what many would have otherwise thought to be waste and yet you are making healthy juice products out of the peeling and moreover conserving our environment that has been more than ever exposed to degradation...well done. 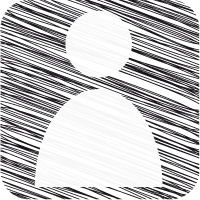 Excellent project innovation. 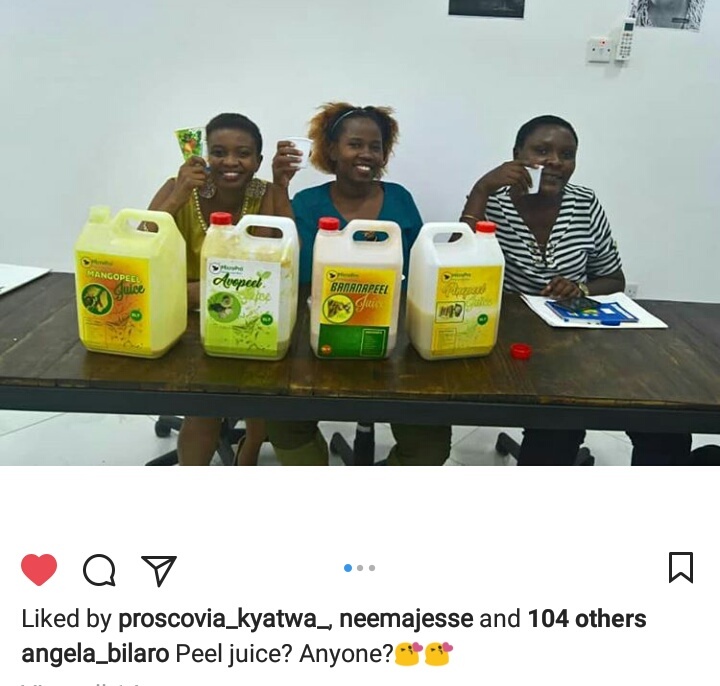 Fruit probiotics juice is a health beverage product and is also a recycling product of solid waste that is fruit peel. Healthcare products today are very important for most people with certain diseases. Very inspiring.